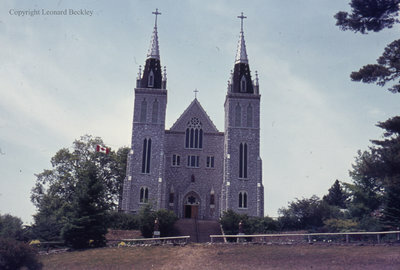 A colour slide of the Martyrs Shrine in Midland, Ontario. View is of the front of the building. Martyrs Shrine, June 1977, Leonard Beckley. Whitby Archives A2014_002_003.